At Frazer Abbott & Company, we believe in the value of relationships. 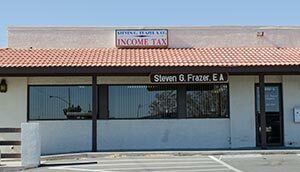 We’ve been operating in Yucca Valley since 1990, successfully helping our clients in all areas of taxes, bookkeeping and payroll services. Whether you are an individual or a small business owner, our goal is to provide you with exceptional customer service and professional guidance. We invite you to browse through our website for more information about who we are and the services we provide. This website has been designed to be a helpful resource to you, our valued clients and visitors. Click on the “Information Center" tab to find useful tools that can make your life easier, such as a downloadable Tax Organizer, links to Federal Tax forms and IRS publications, and interactive financial calculators. In addition, we’ve provided a variety of links to external websites that we think would be useful to our clients and visitors. Please feel free to contact us with any questions you may have or to set up a free initial consultation - we would love to hear from you! Enrolled Agents (EAs) are the only federally licensed tax practitioners who specialize in taxation covering individuals and businesses and also have unlimited rights to represent taxpayers before the IRS. This means they are unrestricted as to which taxpayers they can represent and what types of tax matters they can handle. Enrolled Agent status is the highest credential the IRS awards. In addition to the stringent testing and application process, the IRS requires Enrolled Agents to complete 72 hours of continuing education every three years.